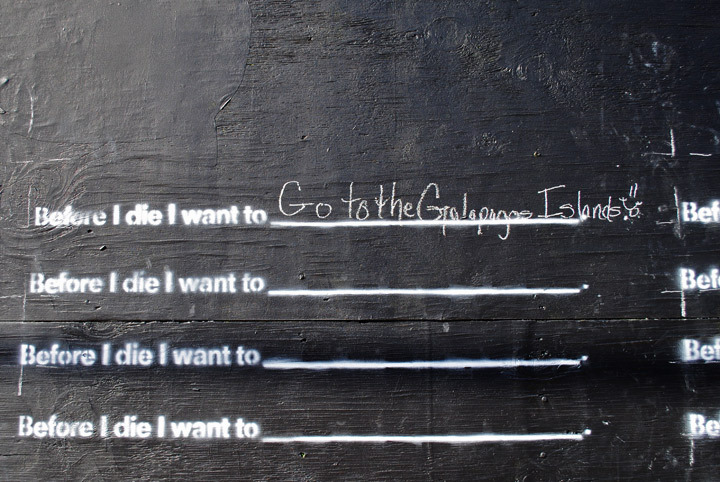 The Ministry of Artistic Affairs: Case Study: Candy Chang's "Before I die..."
Case Study: Candy Chang's "Before I die..."
Public installation artist Candy Chang's new piece in New Orleans offers a fantastic way for passers-by to directly engage with street art and public life. 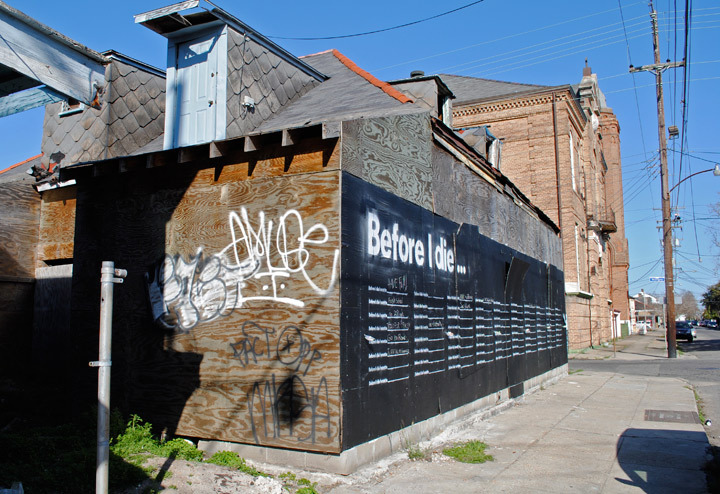 Located at the corner of Marigny Street and Burgundy Street and placed on the site of an abandoned house in her neighborhood, "Before I die..." is a public giant chalkboard that successfully turns a urban neglected space into a constructive and inspirational one. 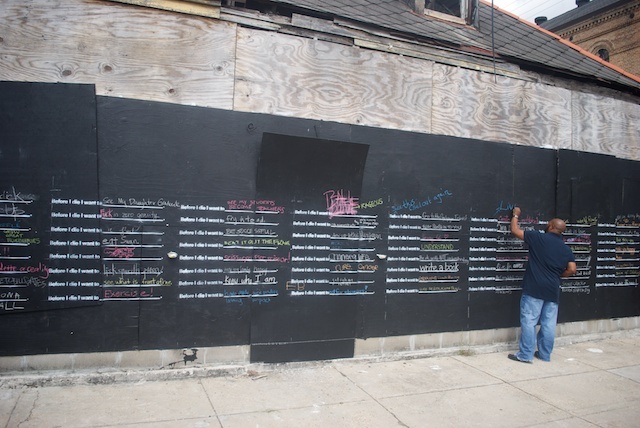 Making good on her stated goal of "making cities more comfortable for people", this interactive analog piece broadcasts the aspirations of those who experience it and injects a positive energy into a derelict situation. 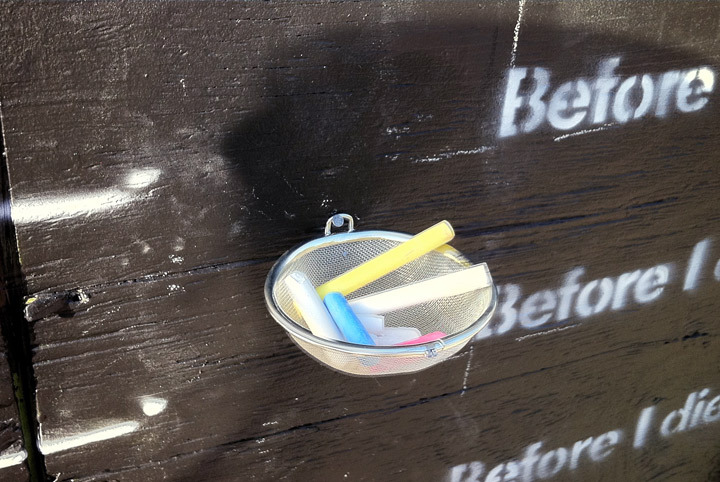 In addition to her art work, Chang is also a designer and urban planner. She is a co-founder of Civic Center, an urban design studio, and she is determined to redefine the ways we use public space to share information. A 2011 TED Senior Fellow, Chang holds undergraduate degrees in architecture and graphic design as well as a Masters degree in Urban Planning from Columbia University. She has worked with Nokia in Helsinki, the New York Times in NYC, urban design projects in Nairobi, and exhibited her work in spaces ranging from sides of abandoned buildings to the National Design Museum.